Breakfast has never been more exciting. 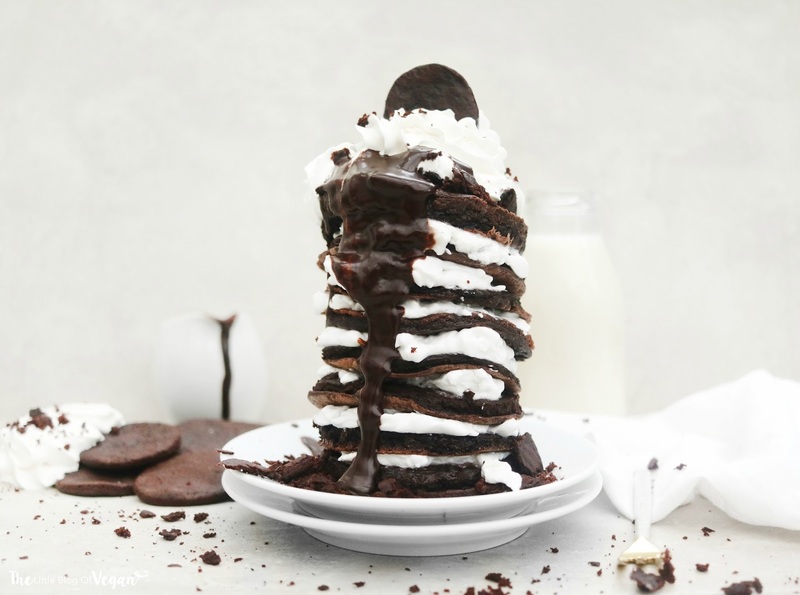 These fluffy and chocolaty Oreo cookie inspired pancakes are perfect to wake up too as they taste delicious and only take minutes to make! 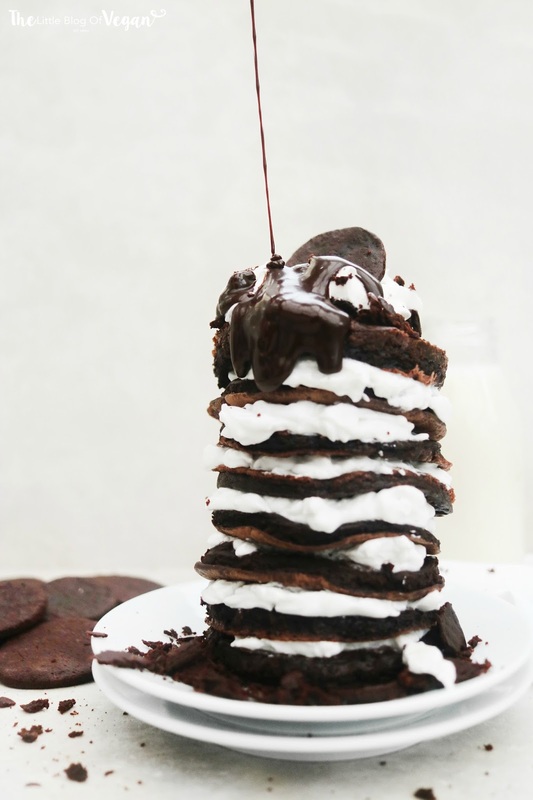 I made some rich chocolaty pancakes, stacked with fresh coconut cream to not only look (but taste) like Oreo cookies. 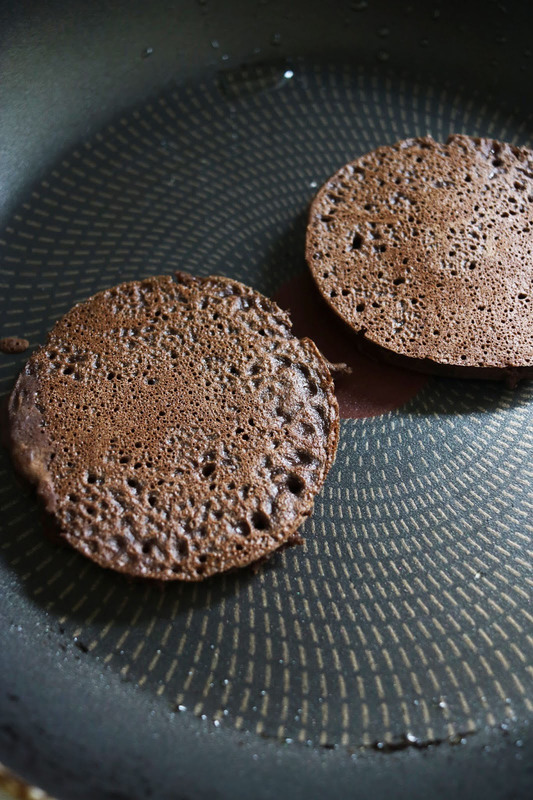 These pancakes are 100% vegan and gluten-free! I made my homemade 'healthy' oreo cookies to go along with these tasty pancakes! They contain only natural sugars and 'easy to find ingredients'. I can't recommend this recipe enough, especially if you like cookies & cream! 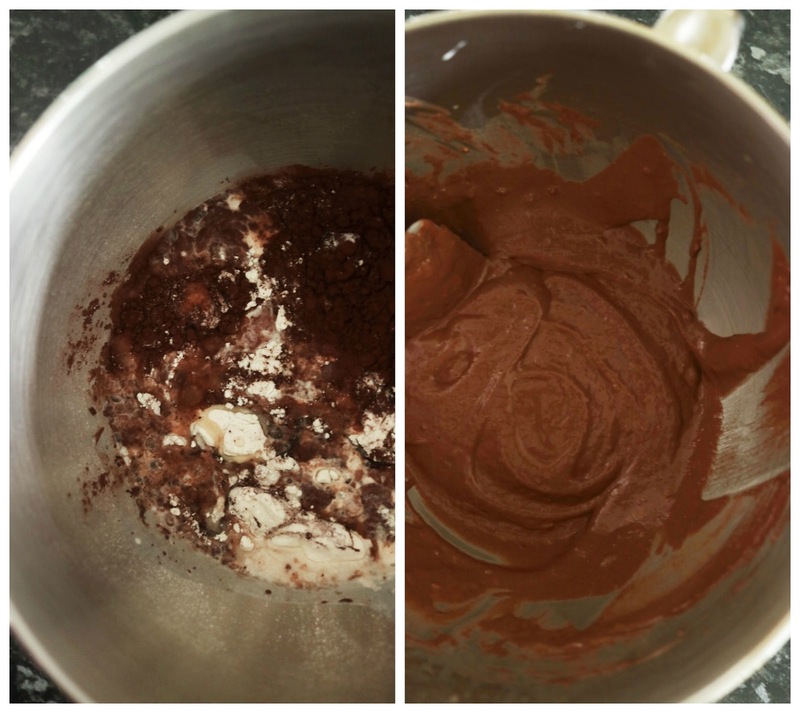 Step 2- In a mixing bowl, combine the flour, cacao powder, coconut sugar, baking powder and salt. Mix until smooth. Step 4- Using a ladle, carefully pour a small amount of the pancake mixture into the center of the hot pan. 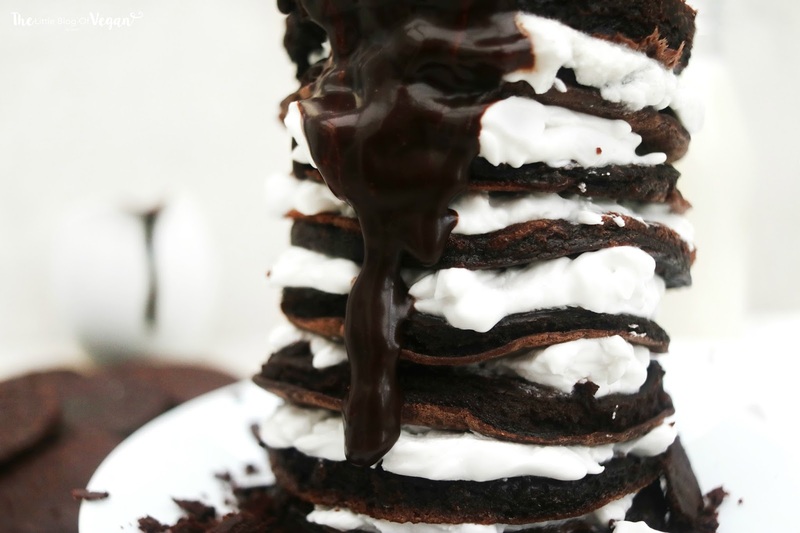 I served my pancakes stacked with fresh coconut cream, homemade oreo cookies and a drizzle of Loving Earth choc shot.